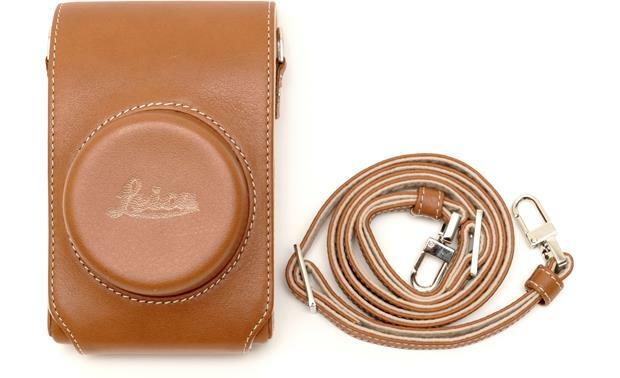 This cognac-brown leather case is made to fit Leica's D-Lux camera like a glove. It can be stowed away in a bag or kept at the ready when worn with the included adjustable leather shoulder strap. Well made and stylish. Camera fits perfectly. Easy to carry. Sorry.....I am not sure. But it should work for recent D Lux 4 models. Good luck! Michael D.
Overview: This high-quality leather case is made to fit the Leica D-Lux compact camera. Made of cognac-colored leather, the case features light-colored stitching and a soft suede inner lining. Inside is a special pad to protect the camera's LCD from scratches or breakage. The wrap-around lid features an enclosure for the lens and a magnetic closure. A narrow (7/16" wide) adjustable leather neck strap is included. I do not Know, there several Leica forums on line that could probably answer your question. 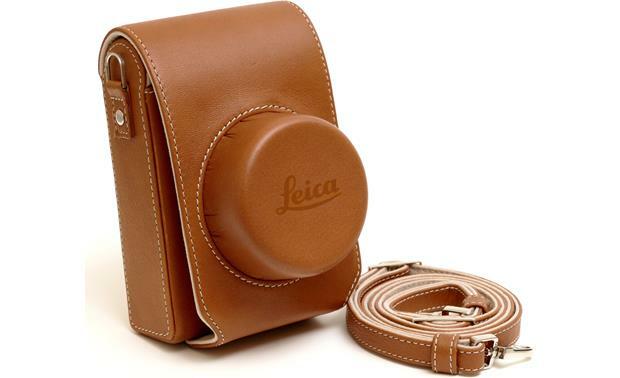 Searches related to the Leica D-Lux Case Leather case for D-Lux digital cameras.